I knew what she meant, but I hadn’t exactly been channeling the spirit of Mike Wallace, or angling for some incendiary confrontation. (For the record, I’m a huge, longtime Ted Leo fan.) It’s not like I decided, just before the interview, to break format and mount an all-out assault on Leo’s privacy. These sorts of inquiries might’ve seemed jarring to some (including, apparently, my wife), but they weren’t out of the blue. Indeed, there was clear context for the line of questioning I pursued: A sprawling, deep-dive July 2017 profile in Stereogum that transformed some of the most profound elements of Ted Leo’s private life into something very, very public. So I wasn’t pretending to yield revelations in my on-air conversation. Rather, I was keenly interested in hearing, 10 months later, how Leo felt about the revelations he provided in the Stereogum piece, and what impact they had had on those closest to him. By now it would be reasonable to ask: What were the revelations? That’s plenty powerful in and of itself, but other disclosures included that Leo and his wife, Jodi, experienced a late-term miscarriage, losing their daughter…separately, Jodi became seriously ill, a development with significant medical, emotional and financial implications…the collective strain took its toll on the couple, leading to a brief separation…he parted ways with his record company, because they were aggrieved by his work with Aimee Mann–they toured and recorded as The Both, but made that debut album for her record company….he was so strapped financially that, a quarter century into his career, he concluded the only way to make his new album, The Hanged Man, was by crowd funding for it. Believe it or not, there’s more, but that’s enough for now, and pretty darn singular in the realm of music biz artist profiles. So I was deeply curious in our radio conversation to hear how Leo felt when the Stereogum piece was first published. Something akin to buyer’s remorse about how candid you were? A singer-songwriter-guitarist and veteran vegan who played in a handful of bands before forming Ted Leo and the Pharmacists in 1999, Leo had carried around the dark secret of the molestations for decades. He decided it was time to talk. In detail. About a lot of things. “As far as talking about it [with Stereogum], sometimes you have to dive in and accept that you can’t control how people are going to react,” Leo recalled thinking. “You have to give other people the dignity of their own response to certain things. Perhaps, I suggested, in the wake of an extended written profile containing deeply personal revelations, sometimes the subject of the piece learns as much along the way as the readers do. “Absolutely,” he answered without hesitatio. “To be able to speak about it, I will say that I was already starting to process some of this stuff over the last couple of years in ways that I hadn’t been previously. That article also served as a colossal calling card for The Hanged Man, the record funded by the Kickstarter campaign he launched after splitting from his record company. He did so with great reluctance, and some resentment–at first. Ultimately, Leo came around on crowd funding, and even if he didn’t end up accepting all aspects of the Kickstarter–he was never and still is not keen to run his own record label–he was pleased with the resulting album. 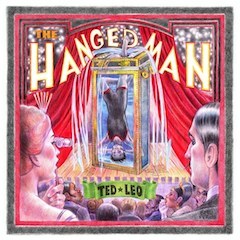 So was just about everyone who heard it, who found The Hanged Man inspired and inspiring, a lyrically and musically adventurous collection in which Leo explored sounds and themes that many longtime Leo devotees found at once surprising and thrilling. Not surprisingly, this bold, colorful album collected a passel of rave reviews. If I were a record company, I would’ve been proud to release The Hanged Man. However, it’s all but obvious that The Hanged Man became a powerhouse achievement precisely because it wasn’t for a record company,. Once embraced, the crowd funding approved proved creatively liberating. The video for the first single, “Can’t Go Back,” a catchy tune made catchier by snappy vocal harmonies, immediately telegraphed that whatever struggles may have accompanied his Stereogum disclosures and a new way of recording an album, the artist’s keen sense of humor emerged undented. The clip is like a spoof sandwich, with nutso intro and outro voiceovers by longtime crony and comedian-actor Paul F. Tompkins wrapped around the visual of Leo performing as lounge singer with shirt open several buttons, in front of shiny curtains, often seeming unconcerned with the mic he’s singing into or piano he’s playing–all by way of a parody TV ad hawking the new album. This is hardly the first Leo video featuring Tompkins (Mr. Show with Bob and David alum, Largo denizen, etc. ), and the singer has not only long been a fan of the smartest wing of the comedy scene, but has also long had a foot in it himself. In fact, about three weeks before our interview, Leo had performed in Austin at the Moontower Comedy Festival’s Evening For The Comedy Resistance–a collective of comedians and political professionals seeking to encourage more people to engage with the political process, and especially to vote–on a bill also featuring David Cross, Maria Bamford and Mike Birbiglia, among others. Not too shabby. This merely reflects his longstanding track record of performing on comedy shows of all stripes (most often in New York), which in turn reflects another of his longstanding passions as both fan and practitioner. “Well, I’ve always been into comedy,” he said. “I think since I was a child–I was buying comedy records in the ’70s and the ’80s. “As we know, comedians are also humans, and they apparently listen to music in the same way that us musicians listen to comedy. David Cross, in particular, was one of the first to approach me about playing on one of his shows, doing a weekly show in New York called ‘Tinkle,’ with Jon Benjamin. ‘Then, through those connections, and also through people such as Tom Scharpling who did a show on WFMU, I met lots of other people with whom I already had a mutual appreciation, that we didn’t know”–citing, among others, Tompkins, Patton Oswalt, and Julie Klausner, for whom Leo served as musical director on her acclaimed podcast How Was Your Week? with Julie Klausner. Some time after this interview, I began wondering how much hearing, seeing and–especially, doing–comedy may have served as a hedge, maybe even more than music, against being more destructively tormented by the molestations and personal sorrows. Never got the chance to ask the question. Wish I had. But I don’t think the reason, as we established earlier, was insufficiently sized balls. 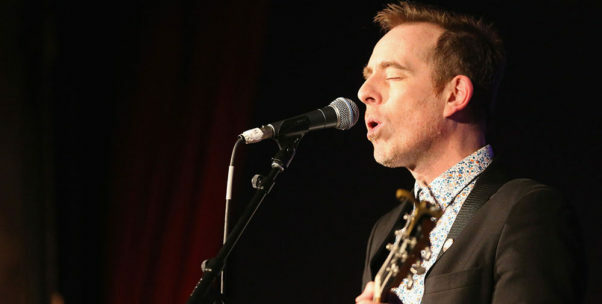 Click here to listen to the complete Ted Leo interview on Talking Animals.